In associating art with loneliness, sorrow, and death, Mann was not presenting a new idea but perfecting an old tradition. Everywhere you look in the art and literature and music of the nineteenth century, you find examples of this same figure, the artist banished from life: in Leopardi, the stunted, ugly, miserable poet; in Flaubert, the novelist too fastidious for bourgeois existence; in Nietzsche, the wanderer upon the earth. What is different in Mann is that, writing in 1903, he has fully assimilated the Darwinian revolution, which taught him to think about life in terms of survival and fitness. In his great novel Buddenbrooks, Mann tells the story of a family whose fitness to thrive in modern society declines in tandem with the growth of its interest in ideas and art. Its last representative, Hanno, is a musical prodigy who dies an excruciating death before reaching sexual maturity. When art seizes an individual powerfully, it draws him back to the views of those times when art flowered most vigorously.... The artist comes more and more to revere sudden excitements, believes in gods and demons, imbues nature with a soul, hates science, becomes unchangeable in his moods like the men of antiquity, and desires the overthrow of all conditions that are not favorable to art.... Thus between him and the other men of his period who are the same age a vehement antagonism is finally generated, and a sad end—just as, according to the tales of the ancients, both Homer and Aeschylus finally lived and died in melancholy. IT IS NO COINCIDENCE that the same era should have given birth to Darwinism and to the aesthetic cult of decadence. The iron law of Darwinian evolution is that everything that exists strives with all its power to reproduce, to extend life into the future, and that every feature of every creature can be explained as an adaptation toward this end. For the artist to deny any connection with the enterprise of life, then, is to assert his freedom from this universal imperative; to reclaim negatively the autonomy that evolution seems to deny to human beings. It is only because we can freely choose our own ends that we can decide not to live for life, but for some other value that we posit. The artist’s decision to produce spiritual offspring rather than physical ones is thus allied to the monk’s celibacy and the warrior’s death for his country, as gestures that deny the empire of mere life. The discovery of sexual selection solved the problem with brilliant economy. Such displays, Darwin realized, were male animals’ ways of competing for the favor of the female. By this logic, the tiniest initial preference of the female for a conspicuous male—a peacock with a patterned tail, an elk with enlarged antlers—sparked a continual competition among males to become even more conspicuous. In every generation, a more beautiful peacock would leave more offspring than a homelier one, thus passing on the genes for beauty to his offspring, who would undergo the same kind of selection. Animals produce beauty on their bodies; humans can also produce it in their artifacts. The natural inference, then, would be that art is a human form of sexual display, a way for males to impress females with spectacularly redundant creations. There is even an animal precedent for this: the Australian bowerbird, which attracts females by building an incredibly elaborate bower out of grass and twigs, and decorating it with colorful bits and the juice of crushed berries. The bower is a perfect example of an artwork whose explicit purpose is to promote reproduction. In particular, Darwin suggests that it is impossible to explain the history or the conventions of any art by the general imperatives of evolution: “Many of the faculties, which have been of inestimable service to man for his progressive advancement, such as the powers of the imagination, wonder, curiosity, an undefined sense of beauty, a tendency to imitation, and the love of excitement or novelty, could hardly fail to lead to capricious changes of customs and fashions.” Such changes are “capricious” in the sense that they are unpredictable from first principles. Put more positively, one might say that any given work of art can be discussed critically and historically, but not deduced from the laws of evolution. 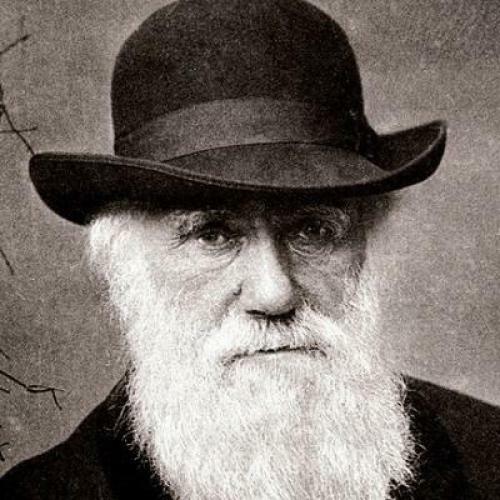 This sensible reticence served both art and science well enough for more than a century after Darwin’s death. But with the rise of evolutionary psychology, it was only a matter of time before the attempt was made to explain art in Darwinian terms. After all, if ethics and politics can be explained by game theory and reciprocal altruism, there is no reason why aesthetics should be different: in each case, what appears to be a realm of human autonomy can be reduced to the covert expression of biological imperatives. The first popular effort in this direction was the late Denis Dutton’s much-discussed book The Art Instinct, which appeared in 2009. For Dutton, the exposure of the Darwinian origins of art was meant to build a case against the excesses of postmodernism. If human aesthetic preferences—for representation in visual art, tonality in music, and narrative in literature—are the product of hundreds of generations of evolutionary selection, then it follows that art which rejects those preferences is doomed to irrelevance. In this sense, Dutton’s Darwinism was aesthetically conservative: “Darwinian aesthetics,” he wrote, “can restore the vital place of beauty, skill, and pleasure as high artistic values.” Dutton’s argument has recently been reiterated and refined by a number of new books, which do not necessarily share his aesthetic agenda or his artistic cultivation. But their appearance suggests that Darwinian aesthetics—and its more empirical cousin, neuroaesthetics—is growing quickly in confidence and appeal. ON ITS FACE, the notion that the human instinct to make and appreciate art can be explained by evolution seems true, even a truism. We are the products of evolution in the things that make us distinctively human no less than in the things that we share with the lower animals. There is no longer any argument, for example, that language is an evolutionary adaptation, which over the course of human prehistory must have paid large dividends in terms of survival and reproduction. This makes theoretical sense—language is the basis of human cooperation and innovation—and the evidence supports it: language is a human universal, appearing in every culture and learned by every individual in the same way at the same phase of life. It is as innate as walking and eating. Almost the same can be said of art. As Dutton put it: “The universality of art and artistic behaviors, their spontaneous appearance everywhere across the globe ... and the fact that in most cases they can be easily recognized as artistic across cultures suggest that they derive from a natural, innate source: a universal human psychology.” Dutton’s own fieldwork among the Sepik River people of New Guinea showed him that the Sepik carvers were automatically identifiable as artists even to an American who is the product of a wholly alien culture: “Sepik criteria of artistic excellence are in principle available to anyone with the time and the will to learn to perceive; they are not monadically sealed in Sepik culture.” Again like language, art is universal in the sense that any local expression of it can be “learned” by anyone. Yet earlier theorists of evolution were reluctant to say that art was an evolutionary adaptation like language, for the simple reason that it does not appear to be evolutionarily adaptive. After all, every moment and every calorie spent carving a canoe, or building a cathedral, or writing a symphony, is one not spent getting food, evading predators, or reproducing. Not only is it not obvious that art and “high culture” help human fitness; as we have seen, there is a long tradition holding that the artist is peculiarly unfit for life, especially family life. The new Darwinian aesthetics is motivated by a desire to defend the honor of art against this kind of dismissal. In a strictly Darwinian nature, of course, there is no such thing as honor, value, or goodness; there is only success or failure at reproduction. But the very words “success” and “failure,” despite themselves, bring an emotive and ethical dimension into the discussion, so impossible is it for human beings to inhabit a valueless world. In the nineteenth century, the idea that fitness for survival was a positive good motivated social Darwinism and eugenics. Proponents of these ideas thought that in some way they were serving progress by promoting the flourishing of the human race, when the basic premise of Darwinism is that there is no such thing as progress or regress, only differential rates of reproduction. Likewise, it makes no sense logically for us to be emotionally invested in the question of whether or not art serves our evolutionary fitness. Still, there is an unmistakable sense in discussions of Darwinian aesthetics that by linking art to fitness, we can secure it against charges of irrelevance or frivolousness—that mattering to reproduction is what makes art, or anything, really matter. If pattern is good for us, and if Shakespeare’s sonnets contain many patterns, then Shakespeare’s sonnets are good for us. Boyd’s concern in his book is to prove the minor premise, which is easy to do, and which he does intelligently and well. Like Helen Vendler in her commentaries on Shakespeare’s sonnets, Boyd emphasizes the verbal texture of the poems, the play with sounds and images, the parallels and the oppositions between different sonnets. The problem, for Boyd as for Richards before him, is that there is not the slightest plausibility to the claim that art renders us more “organized” or more “fit,” and there is considerable evidence to the contrary. To prove that art is directly adaptive, one would have to show that people who write symphonies or listen to symphonies have more children than people who do not. Or else one might devise a neurological test to show that an hour of Wagner renders your reflexes a millisecond or two quicker. If both these ideas are preposterous on their face, it is because our actual experience of art points so far from these conclusions. As Kant famously taught, the very definition of the aesthetic is that it is disinterested, that it has meanings but not utilities, that it suspends our involvement with practical and goal-oriented life, that it puts life at a distance so that we can judge it and escape it and even reject it. A truly Darwinian account of art would have to embrace this phenomenological reality, rather than simply positing what its premises compel it to posit, which is that art is essentially useful because it serves the biological cause of reproductive fitness. The great irony of Why Lyrics Last is that in Shakespeare’s sonnets Boyd has chosen one of the supreme statements of the inferiority of physical life, and specifically of biological reproduction, to art. This is dramatized in the structure of the sequence, whereby the poet moves from urging his “fair friend” to become a father to boasting that his own poems will be his friend’s posterity: “So long as men can breathe or eyes can see,/So long lives this, and this gives life to thee.” Boyd is aware of this, of course, and he addresses Shakespeare’s treatment of death and immortality, but he does not seem aware of how deeply it undermines his own Darwinian analysis of art. When Shakespeare tells us repeatedly that it is better to write and be written about than to live and have children, he is positing a value directly opposed to biological necessity. But making intense efforts to secure an “immortal” status, a still longer-term fame, might seem in biological terms a cost without benefit. We could perhaps compare it to the follow-through in a golf swing or tennis stroke. Although what happens to club or racquet after the ball leaves it can no longer affect the ball’s flight, those previously committed to the follow-through will be more likely to send their ball farther and straighter. In the same way, perhaps, those committed to the long-term follow-through in time, to works attracting attention down the ages, commit more to the imaginative effort and therefore often secure better short-term results too. But even Boyd does not seem to really believe this. How could he, knowing as much as he does about the history of art and artists’ lives? The whole notion of art as a vocation implies that the “short term” and the “long term” are not aligned in this case—that immortality requires a sacrifice of this life and its rewards. Shakespeare had three children, one surviving grandchild, and no great-grandchildren: he singularly failed to perpetuate his genes. Yet he is regarded as one of the most successful, the most worthwhile, the most consequential men to have ever lived, because his spiritual children have thrived beyond measurement. And once you acknowledge that human beings can and do think about success and failure in this way, the possibility of comprehending art, and all human endeavor, in purely Darwinian terms simply disappears. As this suggests, Pagel is taking advantage of—though he is also perhaps a victim of—the double meaning of the word “culture,” conflating its honorific and aesthetic meaning with its descriptive and anthropological one. Culture in the first sense—works of art, music, and literature—is therefore able to justify itself as part of culture in the second sense, the sum total of practices and beliefs that define the particular way of being of a group of people. The first kind of culture gives us paintings, the second gives us patriotism; and while paintings are not obviously adaptive, patriotism is. Indeed, Pagel argues that “culture became our species’ strategy for survival, a biological strategy, not just some bit of fun and amusement on the side.” This argument involves the vexed question of “group selection”—that is, the problem of whether evolution can select for traits that benefit a group while being detrimental to an individual. It is easy to see, for instance, how a warrior’s willingness to die in battle for his tribe benefits the survival of the tribe. But since it costs the warrior all chance of reproduction, it is not clear what mechanism would allow the gene for self-sacrifice to spread. But the word “duped” covertly introduces an invalid value judgment into the discussion. Caring about our group can be considered a kind of false consciousness only if there is also a true consciousness, which would entail caring about our own genetic prospects. But while discussions of evolution often use metaphors of agency—as when we talk of evolution “selecting for” a trait—for a gene there is no such thing as “caring” one way or another. There is only an endless process of differential reproduction, in which genes that make more copies of themselves outnumber genes than make fewer copies. In other words, it makes literally no sense for a human being to care about his own genes or feel duped if he is made to care about someone else’s genes: there is no one, no thing, to be the object of this concern. When we say that we care about our genes, what we really mean is that we care about our selves—but the self is an entity of an entirely different order, a humanly created order with its own priorities and values. It is because he wanted to perpetuate his self that Shakespeare wrote his boasting poems. Selves live by other means than genes do. Here we are back to the Boyd-Richards model of art as mental calisthenics. Clearly, what Pagel has in mind is some sort of vaguely prehistoric artistry that would directly cultivate a group mystique—a primordial notion of art as propaganda: an initiation rite in a painted cave, or war songs chanted before battle. Even Greek tragedies might fall into this category, interpreted loosely enough. But what cannot at all be explained in this way is any art that works to separate the individual from the group—which is to say, most art, and certainly most modern art. A Bach partita does no more to reinforce group affiliation than a Monet landscape—each are works that cultivate and demand solitude, a temporary secession of the listener and the viewer from any kind of collective experience. And much of the greatest modern art proclaims the value of the individual in direct opposition to the group, ruthlessly interrogating tribe, nation, class, and family sentiment. Against this obvious truth, Pagel adduces the solidarity-promoting experience of singing hymns (“the words to hymns often have a military quality to them, as in ‘Onward, Christian Soldiers’”), and the supposed power of “visual art [to] help us to think and remember more clearly.” Once again Darwinist aesthetics proves unable to offer any recognizable account of what happens when we experience art, much less explain it in evolutionary terms. DARWINIAN aesthetic principles are at the foundation of an eccentric new book by the Nobel Prize–winning neurobiologist Eric R. Kandel. But the foundation, in this case, is not made to generate the aesthetic superstructure in a naively immediate fashion. Kandel recognizes that between our genes and, say, our enjoyment of a painting there intervene two levels of experience that cannot be paraphrased away in Darwinian language. The first is intellectual: what we see in a painting is determined by our knowledge of art history and artistic convention. The second is neurological: what we see in a painting is determined by the way different parts of our brains respond to visual stimuli. The Age of Insight can be roughly divided into two parts, each dealing with one of these explanatory schemes. In the first half of the book, Kandel offers the reader a compressed but erudite discussion of the culture of Vienna at the turn of the century, with an emphasis on three painters—Gustav Klimt, Oskar Kokoschka, and Egon Schiele. The decision to focus on this milieu is partly personal: Kandel was born to a Jewish family in Vienna in 1929, and had to flee the country at the age of nine following Hitler’s Anschluss. He remains enamored of the city that he left behind, and relishes descriptions of the salons, the schools, and the museums where the culture of Vienna thrived. But there is a reason beyond nostalgia that makes Kandel take this period as his case study. He argues that this culture was especially conducive to attempts to delve beneath the surface of things, to explorations of hidden causes. Other historians explain this by reference to the political climate of turn-of-the-century Austria, with its worship of a dying dynasty and its self-conscious refinement cloaking ethnic and economic hatreds. For Kandel, the source of this unmasking impulse is best explained medically and scientifically, as the influence of the Vienna School of Medicine. He is particularly fascinated by Carl von Rokitansky, who “introduced Modernism into biology and medicine” by using symptoms to deduce their underlying physiological causes. As Kandel tells it, this kind of clinical pathology was a precursor to Freud’s better-known mental pathology: Freud, too, read the depths from the surfaces, the latent from the manifest. Kandel regards his chosen painters, especially Kokoschka and Schiele, as inheritors of the same tendency, using Expressionist techniques to reveal the inner life of the people they depicted. In the second half of his book, Kandel turns to his particular area of expertise, reporting on the current state of knowledge about the biology of the brain. He is especially interested in what happens in the brain when we experience a work of art—or, to put it another way, what neurological capacities the artist instinctively exploits or “recruits” when making a picture. “Our perception and enjoyment of art,” Kandel writes, “is wholly mediated by the activity of the brain”—which is a truism, since every mental function is mediated by the brain, but perhaps a counter-intuitive one. Amid all the details, illustrations, and technical language, the message of this part of the book eventually emerges. Perception, Kandel shows, is not a matter of the brain passively receiving information about the outside world. It is, instead, a highly active process, dependent on the particular capacities our brains have evolved. This is not a new idea—Kant, again, explained how our knowledge of phenomena is inevitably structured by the categories of our understanding—but new advances in technology make it possible to locate the brain’s capacities with amazing precision. Kandel identifies the particular structures that allow us to identify faces; he shows how vision responds to light and motion and outline; and he discusses the “mirror neurons” that may be the biological basis for our ability to empathize with others. All of this is exciting and worth knowing, but it is not clear that it adds anything to our experience or interpretation of art. Neurobiology demonstrates, with increasing refinement, how (or at least where) the brain generates the mind. But it can do this only because the mental experiences that it seeks to explain are already well-known—indeed, universal—and so it cannot actually add to the stock of those experiences. For this reason, Kandel’s attempts to link biology to aesthetics produce banalities. The brain has evolved to “respond selectively to images of the human body,” which “might be an important factor in the historical dominance of figurative art.” What does this say but that people like to look at images of people? “Because of [our] capacity for empathy, we can increase our sense of well-being by looking at a happy face, whereas we can increase our anxiety by looking at an anxious face.” What does this mean but that pleasure is pleasant to witness and pain is painful? “Scientific analysis,” Kandel writes, “represents a move toward greater objectivity.... This is accomplished in the case of visual art by describing the observer’s view of an object not in terms of the subjective impressions that object makes on the senses, but in terms of the brain’s specific responses to the object.” When it comes to aesthetics, however, the subjective impressions are the objective facts, to which we have full access without knowing a thing about neurons. A neurological analysis of our experience of art tells us as little about the meaning of that experience as a chemical analysis of the pigments of a painting would tell us about the painting’s meaning. It is not scientifically false, but it is aesthetically pointless. It is an imperious category mistake. AND THE PROBLEM with neuroaesthetics goes deeper. For the uniqueness of the aesthetic domain is that it actually destabilizes these truths about what we like and do not like to look at. We take great pleasure in looking at a painting by Géricault or Goya that depicts horrendous suffering, but we are repelled by a painting by Bouguereau that depicts beauty. If, for the last hundred years, we have generally preferred abstract art to figurative art, it cannot have been because our brains changed in 1910, as Virginia Woolf said human nature did. Kandel writes that, in keeping with the brain’s capacity for empathy and mirroring, “when we interact with the relaxed and grand people depicted in some of Klimt’s art, we feel more relaxed and grand ourselves.” But isn’t the effect of a picture like Klimt’s “Adele Bloch-Bauer” or “Judith,” both discussed in detail in The Age of Insight, actually to make beauty seem alien, hieratic, even intimidating? (Kandel writes about Klimt as if he were Renoir.) Can’t beauty also lower us in our own esteem, by reminding us of the ways we are not beautiful? An entire tradition of literature, from Baudelaire to Dostoevsky to Beckett, rests on such a premise. Finally this uncertainty drives Kandel, no less than Boyd and Pagel, back to the first principles of Darwinism, which are remorselessly utilitarian. And once again the connection of those principles to art is asserted rather than demonstrated. The “exercise in reading minds, which portrait painting provides, is perhaps not only pleasurable but also useful, sharpening our ability to infer what other people are thinking and feeling.” Or, again: “And that is why we generate, appreciate, and desire art: art improves our understanding of social and emotional cues, which are important for survival.” But could the amount of effort that goes into making a painting possibly be justified on these grounds, when each of us gets “exercise” in interpreting faces thousands of times a day? And don’t artworks regularly introduce us to faces we love because they are uninterpretable, or because they express things utterly beyond the domain of practical life? And what about landscapes and still lifes and abstract forms—what social cues do we learn from them? And does our experience tell us that people who spend much of their lives looking at art, or reading novels, or listening to string quartets—much less the people who make them—are better adjusted, more socially adept, and more likely to produce many children than those who do not? Adam Kirsch is a senior editor at The New Republic.This article appeared in the August 2, 2012 issue of the magazine.